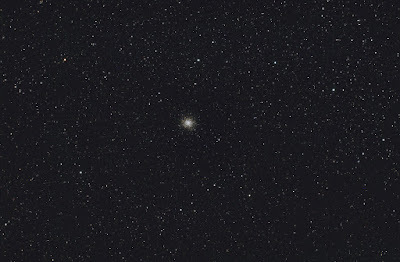 This is M14, a rarely seen Ophiuchus globular but I like it for its isolation, it stands out in a wide field of stars. It is a repeat of some old work, taken on the 23rd of June 2009 with the William 98 we had then, with my SXM25C. 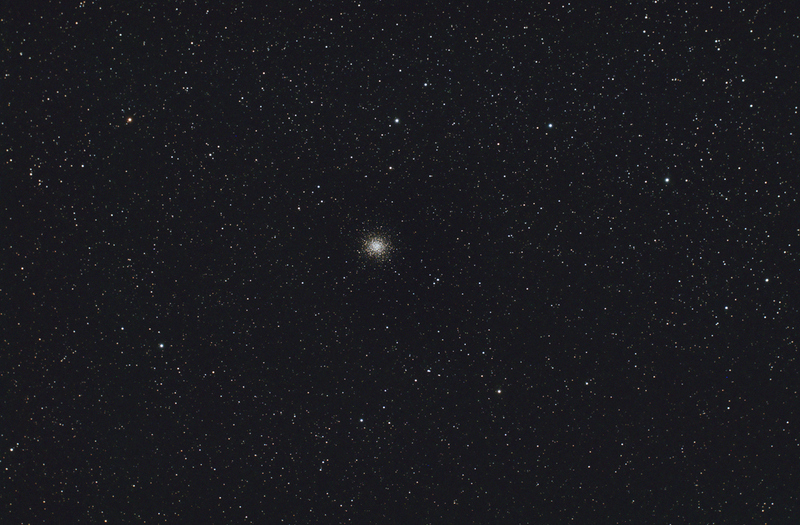 The exposure was 5 x 240sec, added in Astroart, calibrated with flats, and processed in Photoshop.